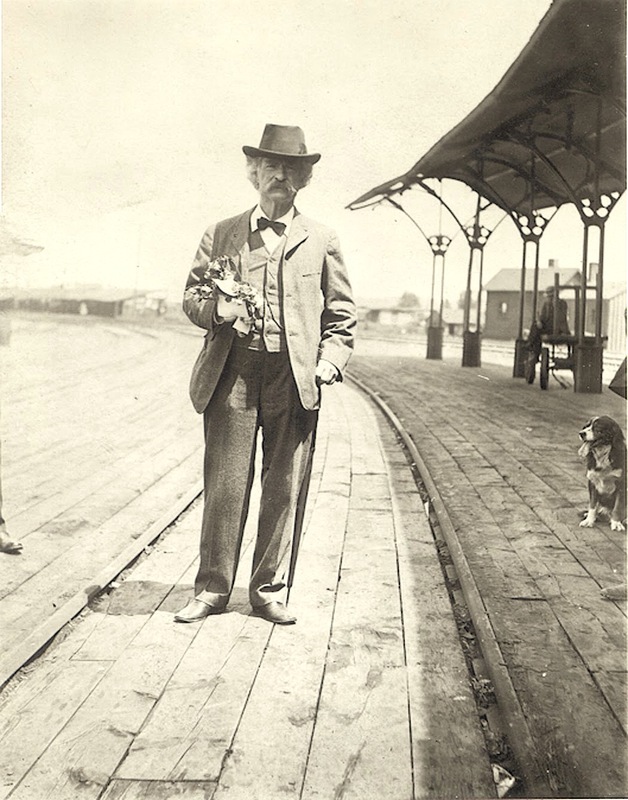 Samuel L. Clemens at the Hannibal train station, June 1902. The Autobiography of Mark Twain; Volume 2 has an odd structure. The autobiography proper is settled in a day to day diary dictated between 1904 and 1906, at which time he was seventy years old. It was dictated in two hour installments, often from his bed, to an audience consisting of his stenographer, Josephine Hobby and biographer Albert Bigelow Paine. This was his last bit of literary work. He spent some time in Bermuda and returned home to die on April 21, 1910. Several chapters were published in The North American Review (1906-07) with Twain’s permission. Mark Twain’s Autobiography, about one-third of it, according to biographer Paine, was originally published in two volumes by Harper & Brothers in autumn, 1924. 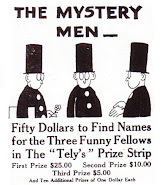 The Autobiography was then serialized in various American Sunday supplements. Once again, on publication of the Autobiography; Volume 1 in 2010 (773pp.) — ‘The Complete and Authoritative Edition’ — reviewers struggled with the text; it was a literary event but the book was a staggering, ungainly, mongrel that left many critics uneasy. What seems to have gone unremarked was the extremely modern and experimental nature of the book, written at a time when the literary establishment expected authors to follow strict rules and poets to sing poems that rhymed. Cubism was in its toddler stage and Jack London, Upton Sinclair, Joseph Conrad, Rudyard Kipling and George Bernard Shaw were the lions of the day. Popular fiction writers (1904-07) were George Barr McCutcheon, John Fox, Jr., Stewart Edward White, Thomas Dixon, Jr., Kate Douglas Wiggin, Rex Beach, Ralph Connor and Gilbert Parker. There is no literary work of that time comparable to the Autobiography. The second volume opens with a newspaper clipping about the promotion of Benjamin F. Barnes to Postmaster of Washington and his violent ejection of a woman from the White House which propels Twain in memory back to his early days in Nevada — and from there it’s a dog’s breakfast of memory shifts past, present and future. 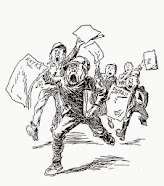 He remembers his first schooldays in Hannibal, Missouri, receives a visit from Rudyard Kipling, recalls being smitten by blackface minstrels in the forties, discourses on the common household fly, prefers dictation to writing, experiments with mesmerism, and ends Volume 2 wondering if newspapers ought to cover the “dreadful particulars” concerning the Thaw trial. Headings are written in the third person, bold-type, text in the first person. In daily “texts” he settles old scores with swindling publishers, employees, and fellow writers. Interspersed with lectures about the Bible, Christianity, war and imperialism are children’s letters, short stories, a series of captioned photographs and autobiographical segments. Twain’s original plan was to continue writing the autobiography until he died. All his life Mark Twain was fascinated by autobiographies, biographies, letters and diaries, and in his own autobiography he made use of all genres. Twain’s memoirs are not a complete success, when old men tell stories they often don’t know when to put a clock on it, and sometimes he’s boring. 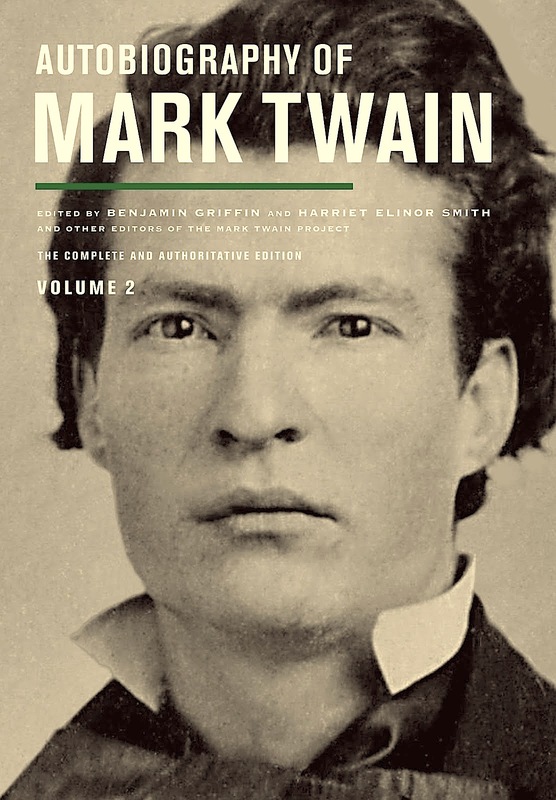 Despite the flaws Autobiography of Mark Twain; Volume 2, just published (749pp. ), is an astonishing performance, the middle of what would turn out to be his last joke, a joke on the future, and a riveting testament to himself and the times he lived in. HANNIBAL TRAIN STATION PHOTO COURTESY OF THE MARK TWAIN PAPERS, BANCROFT LIBRARY, UNIVERSITY OF CALIFORNIA, BERKELEY.